Netbot vs. Felix vs. Rivr: App.net apps for iPhone shootout! While App.net (ADN) may be pretty new, it doesn't mean many users aren't already on it, including iMore and our staff. Even though the service hasn't been around for very long, there are already some choices when it comes to choosing an ADN iPhone app. Netbot, Felix, and Rivr are all fully functional ADN apps for iPhone but is one better than the other, and more importantly, which one should you use? Follow along and we'll help you decide. 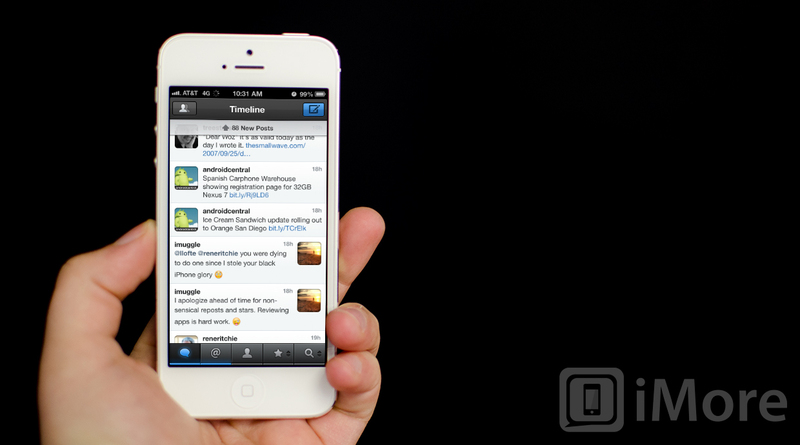 If you've ever used Tweetbot, you'll feel right at home with Netbot. The app functions almost exactly in the same way except it's feeding App.net information instead of Twitter. Swiping sideways on posts will show conversations and tapping on them will give you a menu showing different ways you can interact with the post. There are five main sections along the bottom of Netbot that you can navigate through - stream, mentions, profile, and two customizable tabs. The last two tabs can be set up as either favorites, search, or mute filters. Holding down on either of the two tabs allows you to instantly swap them out for another option. You compose a new post by tapping the blue compose button in the upper right hand corner. The upper left hand corner contains a button that allows you to view a drop down of all of your accounts as well as access settings. From settings you can customize sounds, font sizes, username displays, and individual account settings involving upload and read it later services. Felix handles functions from an interface perspective differently and gives access to quick toggles you may use frequently right within your stream. While viewing your stream, you'll notice a couple options underneath each post and they are reply, repost, and favorite. Tapping any one of those will allow you to access that function. The only down side of this is that it's easy to hit the repost button on accident. While it's nice to have it there, it would be even nicer to have a confirm button pop up after tapping it. You can circumvent this for now by changing the repost function's behavior in settings to Repost with comment. Along the bottom you have a navigation bar that consists of your main stream, mentions, compose, the global stream/stream, and dashboard. The main stream will show all the posts from users you follow, mentions will show all the posts any other user has mentioned you in, and the global stream shows all App.net posts across the entire service. The last tab, your dashboard, functions somewhat as a profile. You'll see your bio and information at the top and some functions underneath them that you can interact with. The Go to Person function allows you to quickly jump to any person's profile or stream as long as you know their handle. The Go to Hashtag function lets you jump to posts about a certain hashtag across the entire ADN service. Underneath that you'll find statistics on yourself and basic information that you'd expect to find such as your own stream, mentions of you, follower and following count, starred individual posts, and a list of people you've muted. A little lower down you'll also see access to settings and information and a logout button. From here you can enable/disable push notifications, change what mentions you get notified for, and change a few other basic settings and thread styles. It's exactly what you'd expect to find in the settings panel of a social app. Rivr doesn't use the same method of navigation as either Netbot or Felix. Instead of having tabs along the bottom, your stream will take up the entire screen and you can choose to pull out navigation only when you want to. To do so, tap the menu button in the upper left hand corner of Rivr. From here you can jump to any section of the app you'd like. Your usual suspects are found right here including your stream, mentions, favorites, global stream, profile, search, topics, and settings. Your profile section doesn't show a wealth of information which is a down side I've found to Rivr but not a total buzzkill. You'll see your picture, bio, follower and following count, and a look at your own stream. Each section in Rivr follows the same interface. 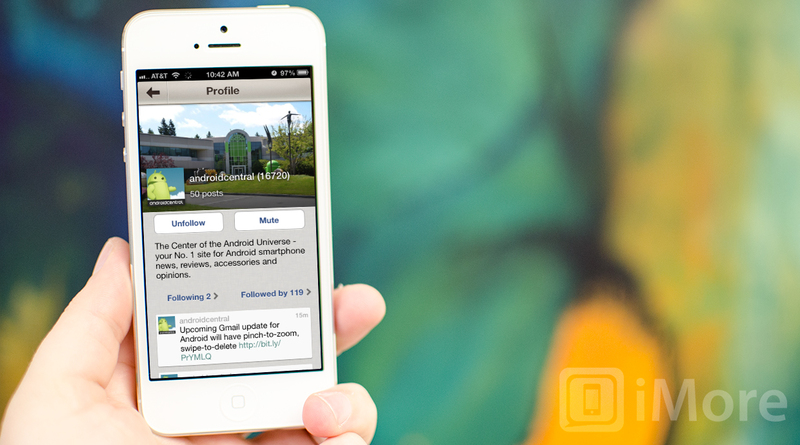 You'll always see your cover photo at the top with a list of posts, mentions, or reposts below that. To compose a new post of your own, just tap the "+" sign in the upper right hand corner from any screen. This is where Rivr gets interesting. You can compose a plain text, picture, now listening to, location, or mood post. A navigation panel will pull out from the right side. Just tap on the type of post you'd like to compose and you'll be taken there. When you see a post from someone else you'd like to interact with in Rivr you can just tap on it and your options will slide out from the right side of the screen. 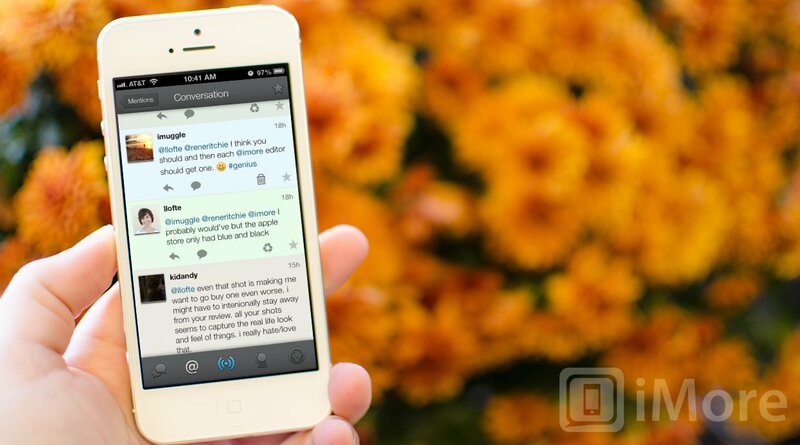 You can reply, quote, star it, view the entire conversation, or automatically repost it. 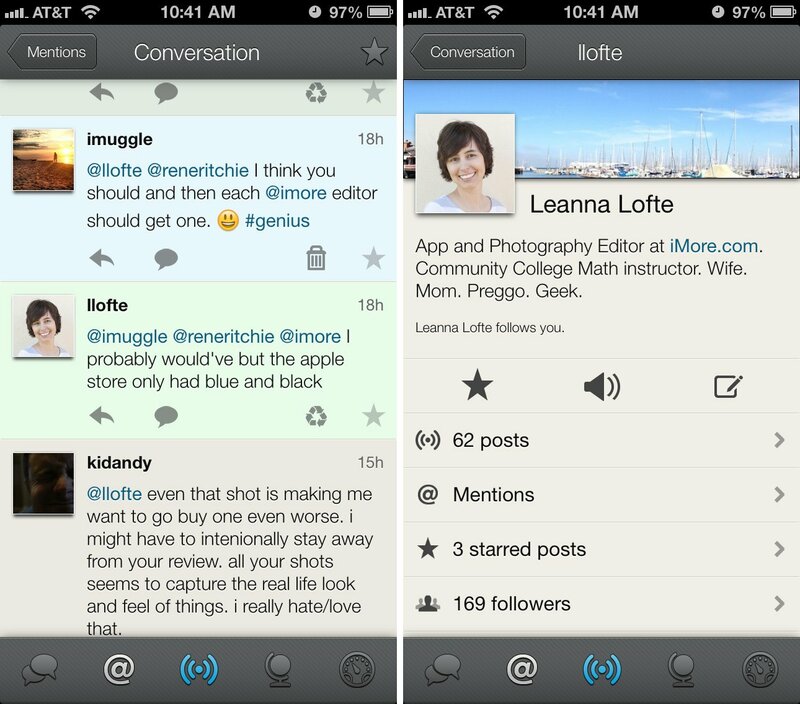 When it comes to interface and design, while Netbot will be an automatic choice for Tweetbot fans, Felix is a breath of fresh air. If you want a change of pace but still desire a visually pleasing app, Felix is what you'll want. Everything from the menus to the gradients are done beautifully. 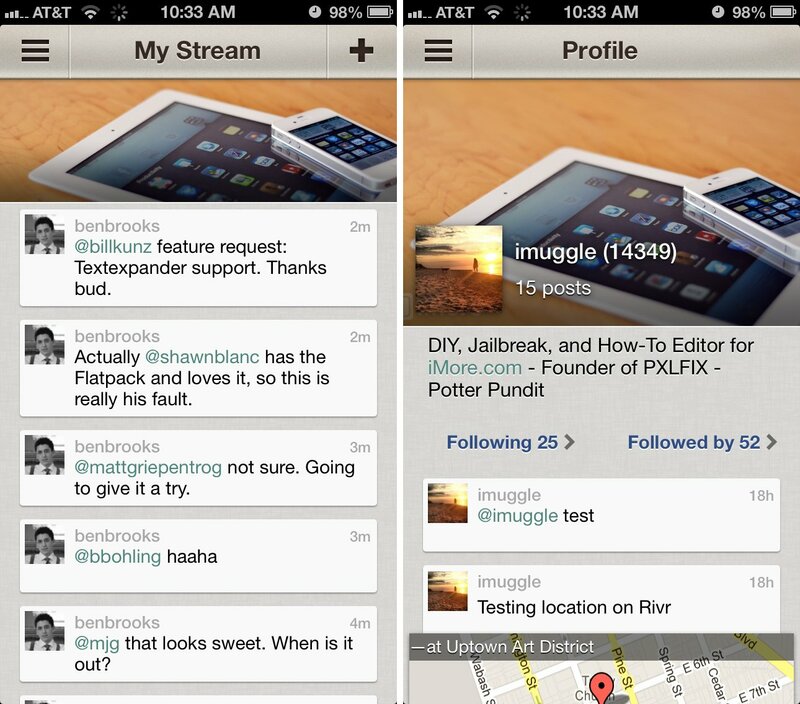 While Rivr is a perfectly functional and well laid out app, the interface is somewhat boring. Netbot supports most of the functionality you'd expect to find for ADN including posting, reposting, quoting, favoriting, tagging, hashtags, image uploading and more. To compose a new post, tap the blue compose button in the upper right hand corner and you'll be taken to the compose screen. Clicking the gear button will allow you to access any drafts you have saved, clicking the button with the person on it will insert an @ sign and once you start typing someone's name, Netbot will automatically pull from your followers. You can also use the tag button in the same way to insert common or popular hashtags. The photo button does exactly what you'd expect, lets you take or insert an existing photo. If you come across a post that appears to be a reply from something else, you can swipe across the post to the right in order to see the entire conversation. Swiping towards the left shows you full detail and any conversation below it. If you find a post that you want to do more than just view, tapping on it gives you more options. You can reply to it, repost it, star it, or chose the further action button. The further action button has more options including sending it to a read it later service, copying a link to your clipboard to the post, copying the entire post, or e-mailing the post. The last button with the gear allows you to see more details about that post including translating it or the number of reposts and stars it has received. Felix may not have a lot of swiping and tapping gestures but most of the reason for that is the fact that most of the functions you'd use frequently are already there at your disposal. 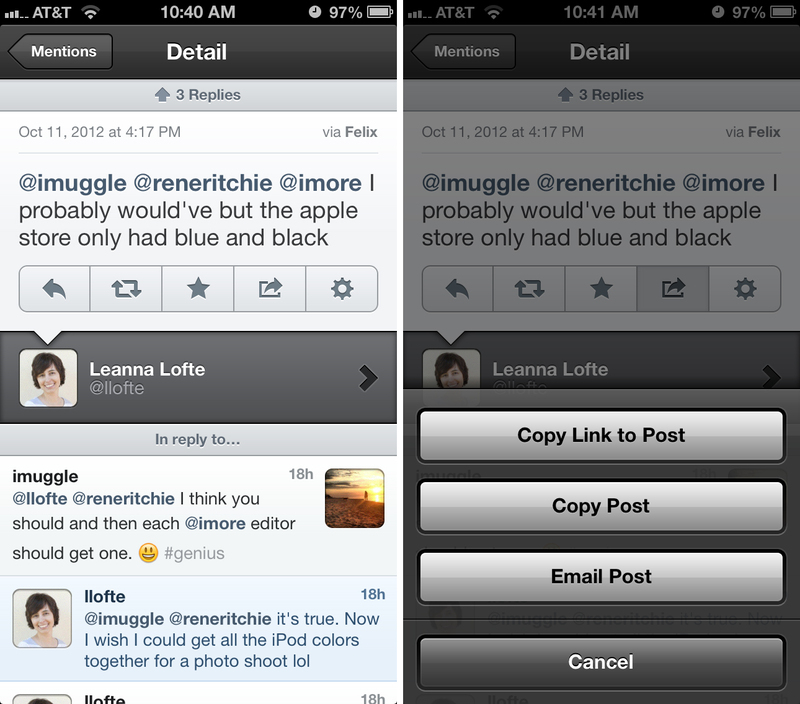 From your main stream you can easily reply, star, and repost anyone else's content instantly. Tapping into a post from your stream will give you the same options as well as more options and some information about that post. Other options you have are copying and mailing the post. Underneath these options you'll see how many people starred the post or reposted it. The compose screen of Felix is rather plain but is still functional. The keyboard is customized to show the @ and # symbols in the bottom right hand corner. Once you hit it and then start typing a name or hashtag, Felix will automatically start trying to autofill either one for you. There's also a mailbox icon in the top bar that will house any drafts you've saved or messages that couldn't send due to an error. Rivr offers a lot of the same functionality when it comes to content as both Netbot and Felix but in a slightly different way. Tapping the "+" sign in the upper right hand corner or swiping towards the left anywhere on the screen brings up the compose menu. From here you can choose what kind of post you'd like to make. Just like Netbot and Felix, Rivr can automatically autocomplete hashtags and usernames for you inside posts. Composing posts is one thing where Rivr has a leg up over both Netbot and Felix. You can compose many kinds of posts that you can't natively inside either Netbot or Felix. 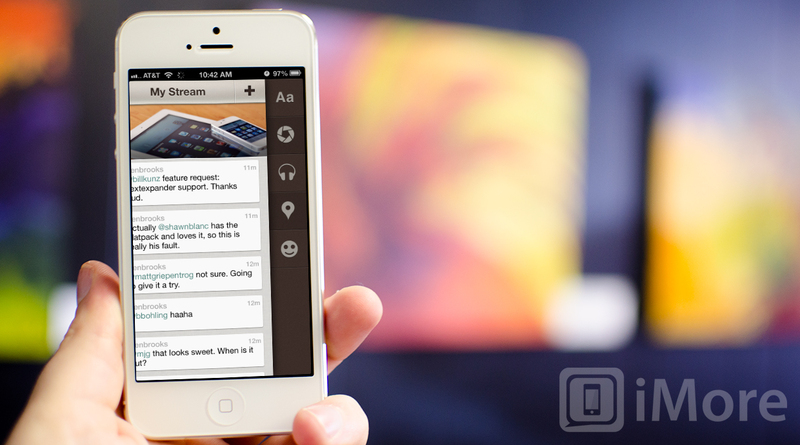 Rivr supports not only plain posts but now playing, location, and mood posts. Photo posts are another area that Rivr may be appealing to many. Not only can you take pictures and post them but you can apply live filters to them or apply them after and right before uploading. This means there is no need to take a picture in a separate app and then upload it unless it needs further editing. For many users, the choice of filters inside Rivr will be good enough. When it comes to viewing others content, just tap on any post you'd like to look into further inside Rivr and a menu will slide out from the side. You can choose to reply, quote, star, view the entire conversation, or repost it as is. That's about all the functionality there is to have though. If you're looking for ways to view stats on a post or a way to send them to a read it later service, you won't find them. Not yet anyways. The only thing you can currently send to a read it later service in Rivr is links. Not posts themselves. Netbot and Felix both have far more options when it comes to read it later services and viewing information about posts. If you're into knowing how many times posts were reposted or starred, forget about Rivr for now. If you're more worried about having additional options concerning the content you share, Rivr has Netbot and Felix beat in those areas. Tie, depending on which features are the most important to you personally. 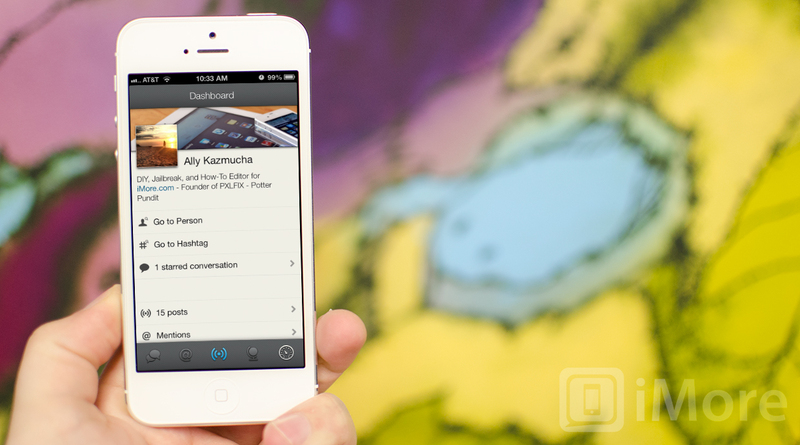 Netbot currently doesn't offer push notifications like it's big brother, Tweetbot. We aren't sure if push will be coming to Netbot or not as of yet. 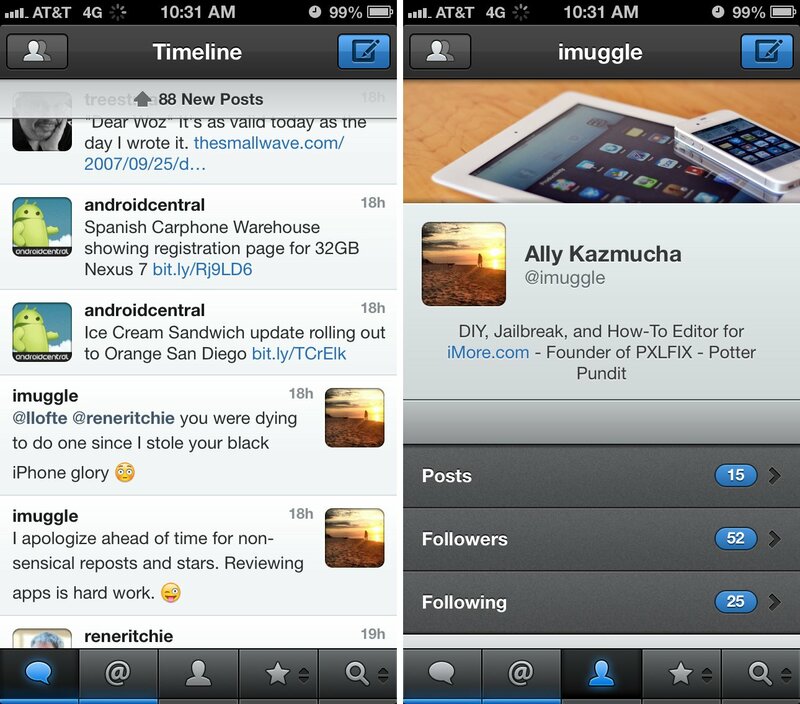 Tweetbot originally released with no push notification feature and later it was added. That could be the case here. Felix offers push notifications natively at no additional charge. In my experience, they work well and the sounds they've chosen aren't obtrusive but just enough to get your attention. There isn't too much customization as far as sounds but you'll get notifications for mentions and for most users, that'll be enough for now. Rivr also offers push notifications but as an additional in-app purchase. The add-on is currently priced at $1.99 for one year of push notifications which is pretty fair. Tie between Rivr and Felix. Netbot and Felix are both priced at $4.99 in the App Store which isn't too bad but may be a little high for some users. Rivr is a free download but push notifications will cost you an additional $1.99 a year, still making it cheaper than both Netbot and Felix. If you plan on sticking around on App.net and you don't switch clients very often, Felix may be a better buy just because you'll avoid paying a push notification subscription fee year after year, which somewhat weighs out the free price tag. Considering none of them cost a ton of money and one is subscription based, it's pretty much a wash. You're better off basing your purchase on feature set than price. Tie between all three. Even though App.net is a newer service, you've still got quite a few options when it comes to iPhone apps. Netbot, Felix, and Rivr are three of the best, there's no doubt about that. 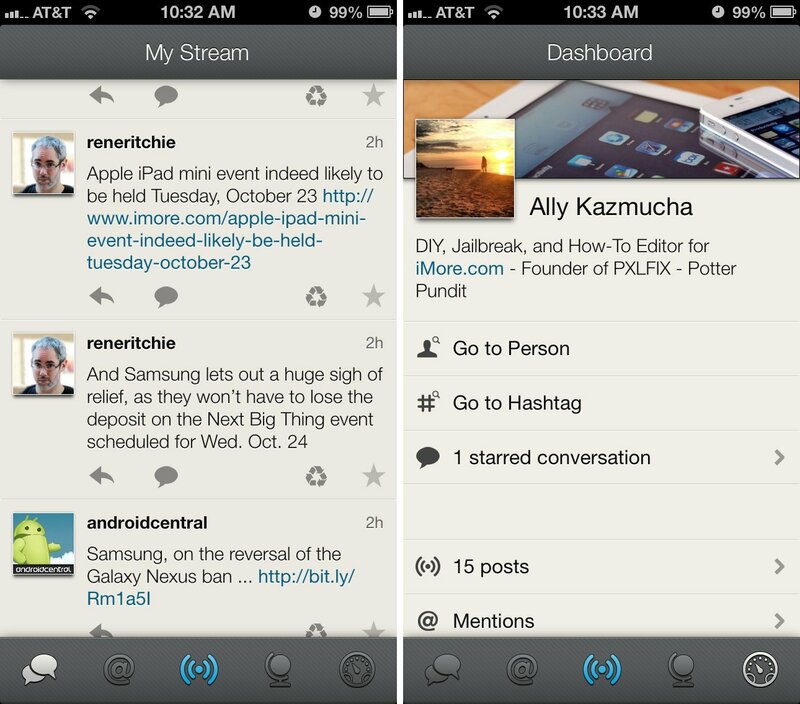 If you are a Tweetbot fanatic and it's your go-to Twitter client and you can't imagine using any other client, you'll love Netbot. The only downside right now is that there is no push and we're not sure how long you'll be waiting to get it. 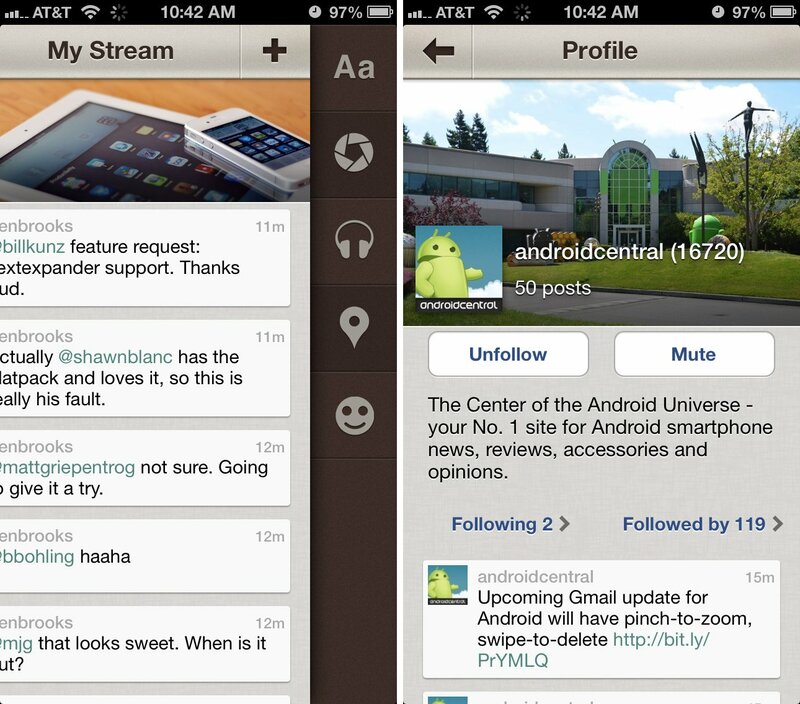 It's also worth noting that it's very easy to confuse which app you're in if you use both Tweetbot and Netbot. While the UI is familiar, I'm not sure how great of an idea it was to make them the exact same. If push is a must for you it'll come down to Felix and Rivr. If you're the type of person that loves to share photos, locations, and pretty much your entire life on ADN, Rivr will let you filter pictures, update your location, tell everyone what you're listening to, and more. So if what you post is more important to you, go with Rivr. But if viewing other people's content is your main concern, Felix is a better buy. Felix wins when it comes to user interface and design. If you want an app that's easy to interact with, nice to look at, and gives you reliable notifications, look no further than Felix. For the time being, it's our favorite iPhone app for App.net.